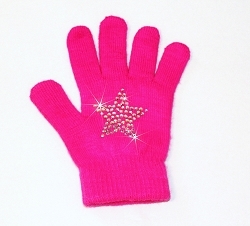 Keep your hand warm and look cool in Neon colors gloves. Featuring "Star", "Heart" & "Skate" rhinestone design. One size fits all.